Smoothness - no unwanted 'kinks'. Good Acceleration - a consistent change of curvature giving good highlights. No unwanted inflections - where curvature switches from concave to convex. 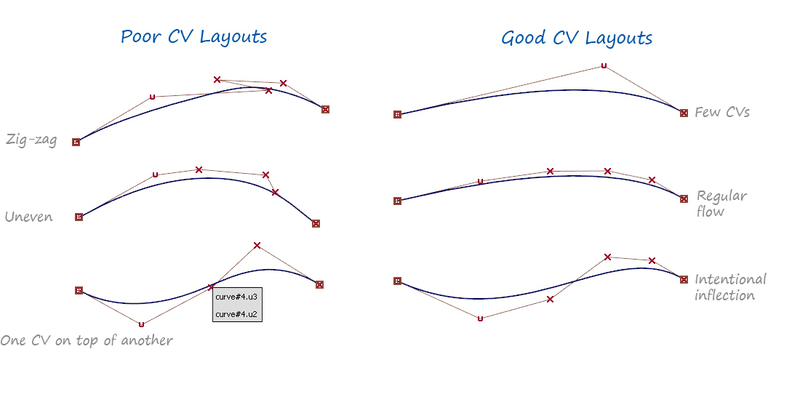 Most users simply judge the flow of CVs and Hulls to be 'regular and disciplined' (or not) by eye.